Each year FAVOR UK members guided by the bidding process choose one UK city or Town to host the National Recovery Walk/Event. This takes place each September and raises awareness of substance use disorders and recovery from addiction. 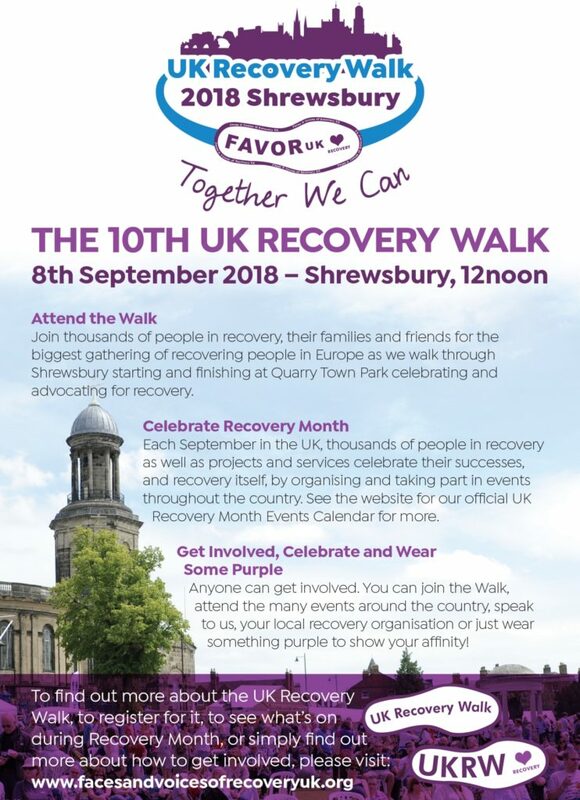 Our 2018 UK Recovery Walk will take place on the 8th of September in Shrewsbury where we hope to see over 8000 people turned out for recovery. At the events, people in recovery, their families and friends are encouraged to share their stories as a demonstration that long-term recovery is a reality in their lives. The focus of the UK Recovery Walk is a public education and outreach campaign that communicates by offering living proof of the reality of long-term addiction recovery. We also highlight the many pathways and styles of such recovery to the public, policymakers, the media and communities. We hope you and your families will join us to take part each year as we walk proudly together confirming and upholding that recovery from addiction is not only possible but a reality. 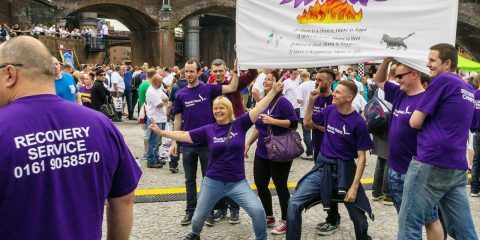 We are now open to notes of interest and applications for the hosting of The UK Recovery Walk in 2019. Applying to host the UK Recovery Walk is a two step process. Please, in the first instance and in no more than 500 words, send the following information in your note of interest. Please note the deadline for notes for the UK Recovery Walk 2019 is set on June 1st 2018. Any notes of interest after that will not be considered. the Bidding Specification Document and complete/submit your written application.